Get the low down on every piece you want to be seen in this season—everything from hybrids of your favorites to functional designs and premium fabrics. We’ve put together the latest essentials, the lingo that goes with them and style tips on putting together the best looks. Take a closer look at each piece and how to style them below. These are the shoes that will go the farthest in style miles. The easy, pull-on style in rich leather and an ankle-high length makes them the star player, elevating every look from work to weekend. With a wear-anywhere silhouette in a perfect length, this modern staple in cozy corduroy blocks the cold. 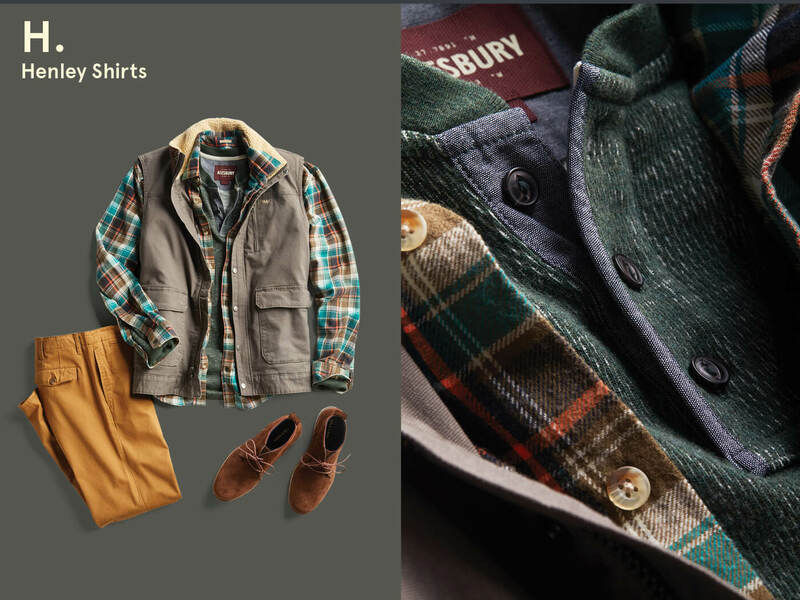 Its neutral shade makes it easy to add pieces within the same color family for a look that anticipates autumn. With a button placket, vintage feel and perfect fit, it’s the comfortable, dressier version of your favorite tee. 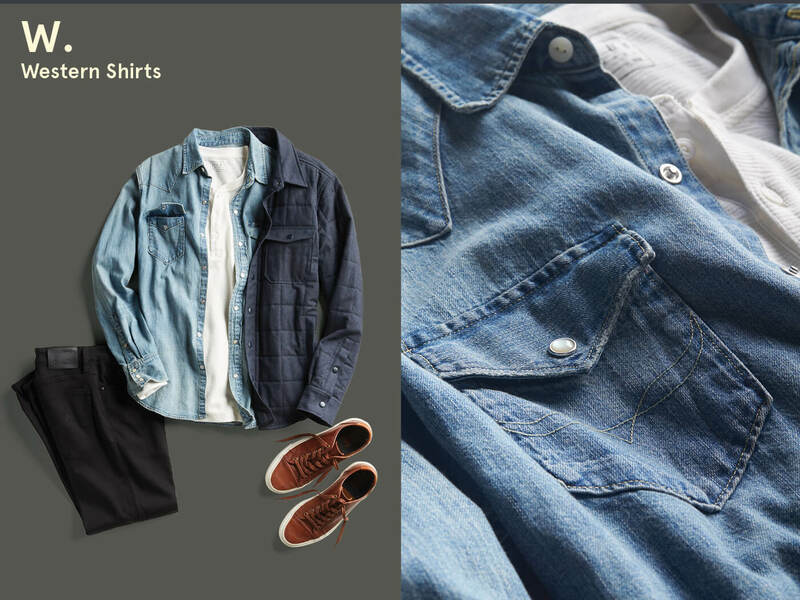 A great way to create a relaxed-but-not-sloppy look is by balancing your layers. A vest won’t add bulk but will keep you warm, and neutral chinos are always a style win. Raw jeans aren’t treated with special washes or distressing. The benefit (read: cool factor) is that each pair is broken-in by you, your pocket contents and even by how you move in them. 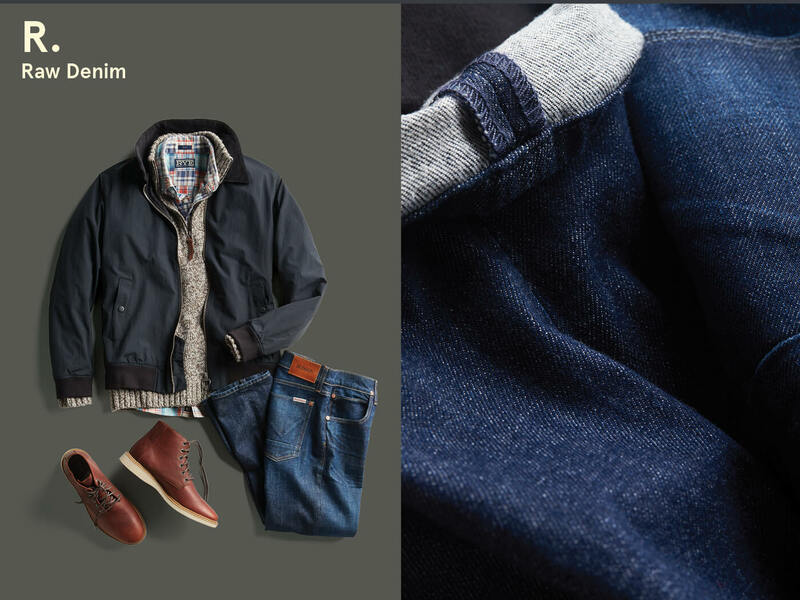 They team well with everything, so take your pick between blazers and Harrington jackets. The more rugged version of a button-down with authentic cowboy-esque details: snap closures, flap-front pockets, contrast stitching. 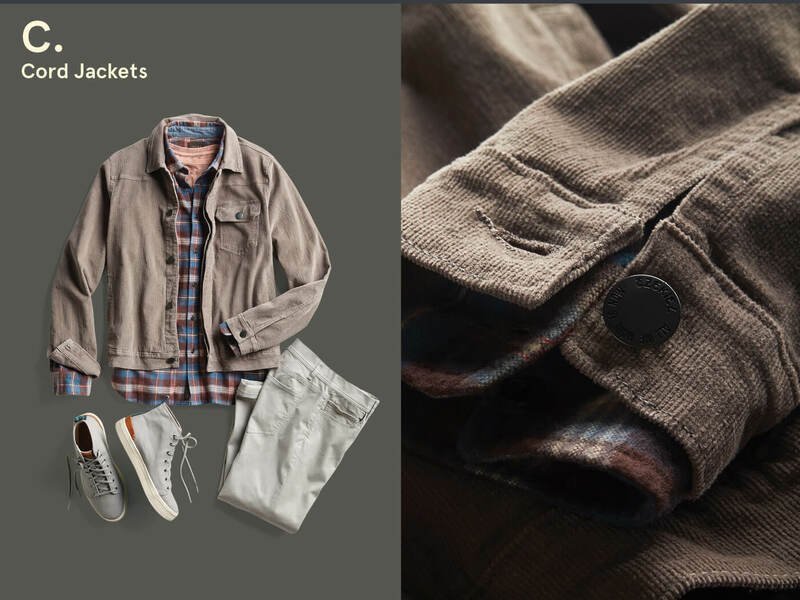 Balance the rodeo vibe with modern pieces like a shacket and a crisp pair of sneakers. What are you waiting for? 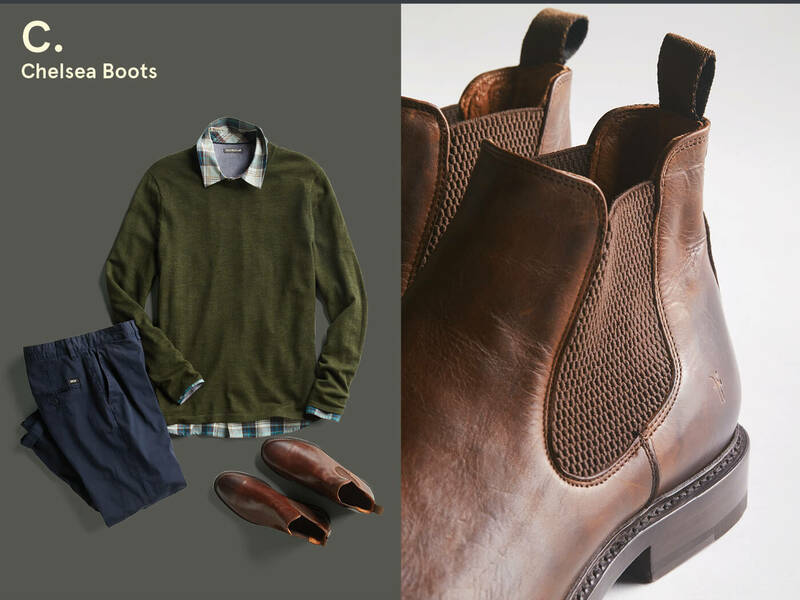 It’s time to ask your Stylist for fall essentials so you can create look after look after look.